Gosapo Beach, here I come! I heard so much about this beautiful beach. While in the area, I never thought of sparing this place as one of my traveling destinations. Gosapo Beach is nicely situated in the famous West Coast of Buan County. This beach belongs and forms part of the astonishing Byeonsanbando National Park. 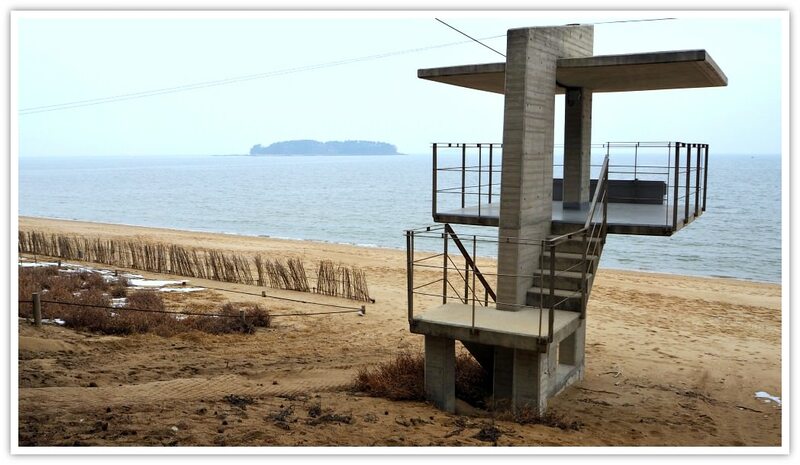 If you haven’t heard about the park yet: Byeonsanbando is the only national park in South Korea which is blessed with both land and natural sea sites. Gosapo Beach contributes to the park’s beauty and attraction. If you love camping: you can do it here. They have a spacious area planted with pine trees. Your tent will be protected from extreme heat or strong winds blowing from the sea. During summer time, the beach is pack with guests from all over the country. The young and old enjoy the soft sandy and expansive seashores. You can walk from one end to the other end while enjoying the serene and calming panorama and sea breeze. The fragrance is the sea is therapeutic and soothes one’s tired body and soul of the daily grinds. It is said that there is a time during the year when the seawater parts and you can walk on the sandbar towards an island. This sounds like the ‘Red Sea Crossing’ of Moses and his people (I assume that some of you have heard or know about this story). Yes, the water parts and you can, allegedly, cross over to an island called Haseom Island. It is the island located right across the beach. Unfortunately, I didn’t come at the right time. I arrived too early. TRIVIA: They said that the parting time happens for three days in the lunar calendar: before or after the 1st and 15th day. So, check out your lunar calendar if you wish to see it parting before your very eyes. The beach is public and no entrance fee. You can use the available facilities but could be crowded during summer holidays. It is a friendly-beach for all its guests. Kids and seniors will find Gosapo very relaxing and rejuvenating both as an attraction and recreation area. Of course, those are not the only facilities you will discover. Some fun and useful beach facilities, such as parasols, beach loungers, seats, kayaks, floats, will be available during the summer season. No need to worry about packing lots of supplies for your stay. There are places where you can purchase beverages, snacks, meals, and other immediate supplies. Restaurants. There are a few Korean restaurants located right outside the beach area. If you love spicy and hot local food, go for it. You can choose from any local dish or specialized seafood dishes. Fresh seafood! More Restaurants. Since the restaurants and food choices in Gosapo Beach area is limited, especially during high season, you might think of checking out other restaurants nearby. Go to Gyeokpo-ri to discover more restaurants. This place is like a small town which has more hotels, restaurants, markets, and other resources for daily life among locals. 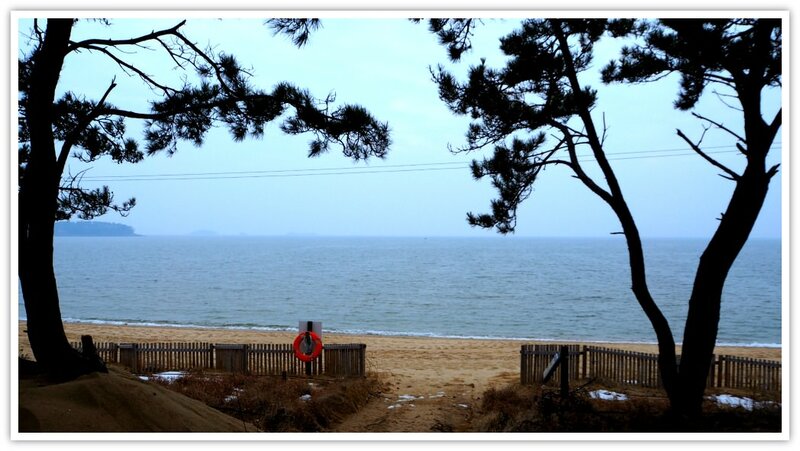 Gyeokpo-ri is only about a couple of kilometers from Gosapo Beach. You won’t get lost as you are in a hiking course or trail. Just follow the road along the seashores, and you’re in the right direction. Ask any local if you doubt. Or, use your GPS! It will surely help if you bring with you assorted dried and canned goods. It would save you time and money. Most Koreans never miss packing noodles—it tastes more delicious after a swim! Bus to Buan-gun (County). From Seoul (or anywhere in the country). Take a bus Seoul Express Bus Terminal or any bus terminal where you can take a bus (special, express, royal, etc. choices) that travels to Buan-gun. Buan belongs to Jeolla-bukbo (province). Buan is also part of the Byeonsanbando National Park. Bus in Buan. You should get off in Buan, or at Buan Bus Terminal. Take another bus traveling for Gyeokpo-ri Bus Terminal. It would help if you got off there and walk for a couple of kilometers to the beach. Don’t worry; you have nice surroundings to see. Alternately, you can inform the bus driver to drop you off close to Gosapo Beach area. Then walk less than a kilometer to the beach. Taxi. You may take a cab from Buan-gun Bus Terminal. It will be quicker (around 15-20 minutes to the beach). But taxis in the area are not quite accessible. Private Vehicles. If you are driving a car, there is a parking area near the beach. If you are renting a Camper vehicle, you can bring it and settle inside the camping ground area. I have seen some (even during winter time) campers and a tent beside them. 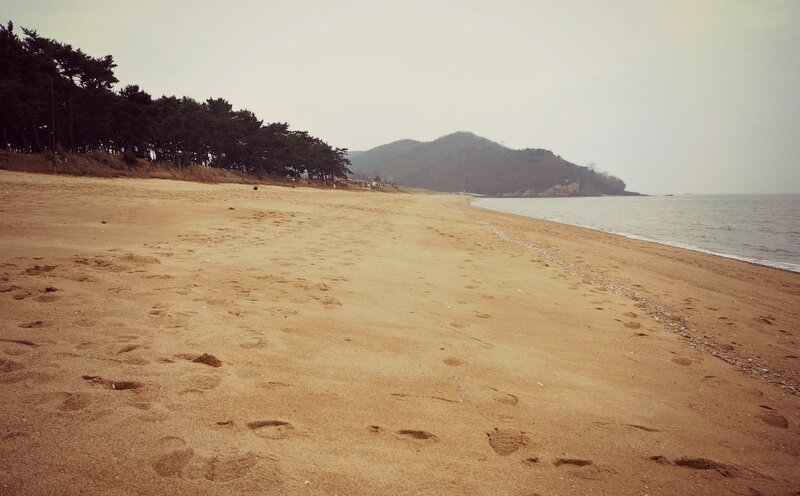 Compared to Byeonsan Beach, Gosapo Beach has more accessible accommodation possibilities. But, right on the beach area, there is a limited number of accommodation. You need to book it in advance. Nearby the beach, you can rent pension rooms, small condos, motels, and minbaks (family house with rooms for rent). However, you will have more choices of accommodations if you choose to stay in Gyeokpo-ri (where the bus terminal is located, and the last bus stop in the area). 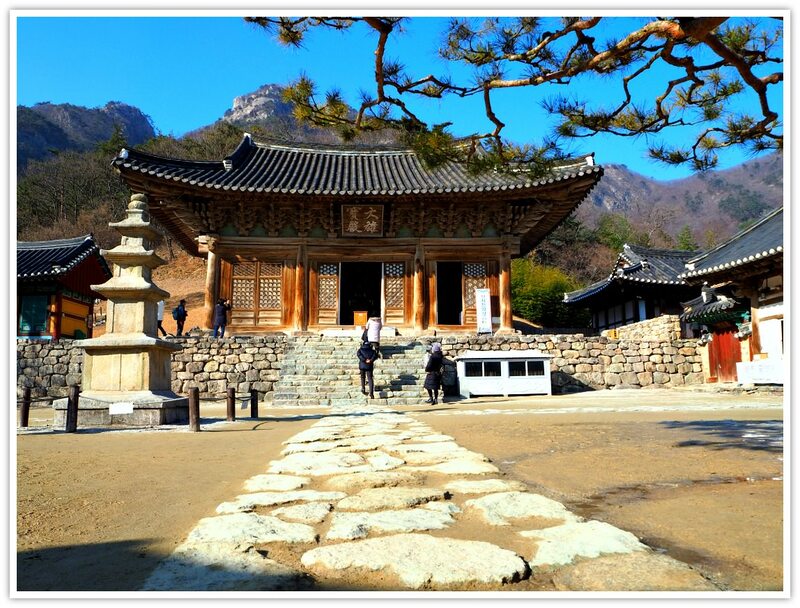 In Gyeokpo-ri, you can find hotels, motels, pensions, and condos with various facilities and rates. You can walk from your hotel to Gosapo Beach area in about 30 minutes or so. As I already mentioned, you can pitch a tent in the camping ground. Also, you can park your camper in the camping ground. I believe that using the space in the camp is not free. Much cheaper than a hotel! 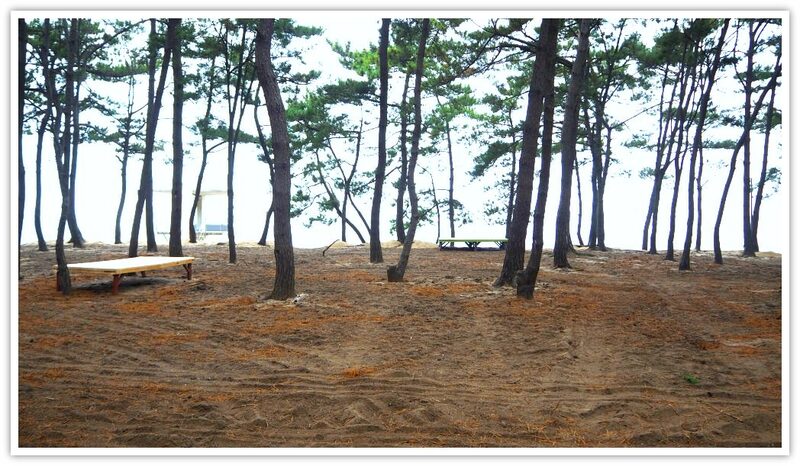 Aside from this beach, there is ample of fantastic sites and natural wonders within Byeonsanbando National Park. Being the only national park with both land and sea resources, you will find the whole place unique and abundant with travel destinations. I am still exploring more sites in this park. So, I will keep this page updated with new interesting travel sites. However, if you have other questions, please email me, and I’ll get back to you personally as soon as I can. Have a beach life! Safe travels.